I always enjoy making metal words for people. Especially, when they represent inspiration and gratitude. 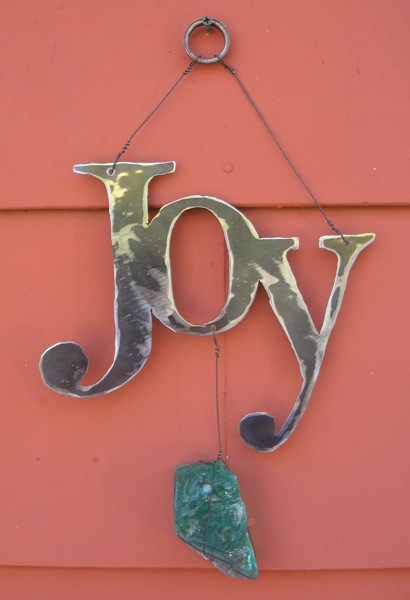 Can't go wrong with the word 'Joy'. So, here are a couple of metal words handcut from steel and decorated with a colorful piece of glass. Do you have a special word, phrase or name you would like to be captured in steel? Prices for these begin at $40. Contact me at 816.785.3280 for more information. Thanks.